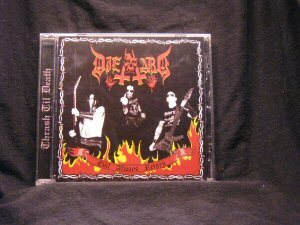 Dig Me No Grave - Cosmic Cult CD (Dark East) Russian Old School Death Metal. 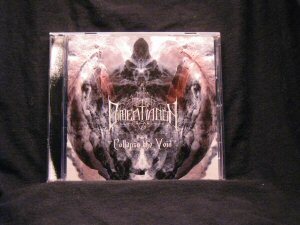 Traditionally tempered by genre masters like Immolation and Morbid Angel, Cosmic Cult exemplifies one of the rare instances wherein the choice of cover art, as it speaks a great deal to death metal minds well-versed, laying adrift obvious hails to nebulous affairs. 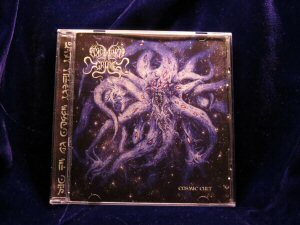 Cosmic Cult makes its interstellar home somewhere between Morbid Angel's well-respected yet often overlooked 2000 opus and speedier fare like the debut.There is light years' worth of mileage to be extracted from Cosmic Chaos if one is in the need for sweeping, nebulous death metal with a pinch of Florida sand. Killer!